is oftentimes difficult to state. I live in Austin (which is near Lake Travis, the focus of this news report) where more than 60 of our Austin Independent School District elementary schools are also dual language schools. Our teachers need books and curricula that promote biliteracy in English and Spanish, but we've taken a step in the right direction. Our very conservative State Board of Education notwithstanding, lots of good things happening here in Texas nonetheless. The Lake Travis school district implemented two new programs this semester designed to increase the success of Spanish-speaking students. Hispanic students account for almost 20 percent of the student population of the Lake Travis school district. Because the majority of Spanish-speaking families live within the attendance zone of Lake Travis Elementary, the school is home to the district’s newly implemented dual language program, the Gomez and Gomez Enrichment Model, applicable from pre-K until fifth grade. The program is designed to make students proficient in reading in speaking in both English and Spanish by the time they complete the program. English Language Learners across the district are allowed to attend LTES to take part in the program. According to the school district, 47.2 percent of the student population at LTES is Hispanic. Paloma Rodriguez (center) leads the Latino Family Literacy Project at Lake Travis Elementary. Liz Sims, the director of learning and teaching for the Lake Travis school district, said the bilingual teachers were provided this year with the training and tools for the dual language curriculum. In the dual language program, reading, science and social studies are taught in Spanish while math is taught in English, Lake Travis Elementary Principal Angela Frankhouser said. The program also utilizes more participatory teaching methods such as group work. The school is also implementing the Latino Family Literacy Project this year. Once a week after students are dropped off for school, Spanish-speaking parents come in and learn about a new book to read with their children and tips for discussing the book with their children in an educational way. The Lake Travis school district has provided bilingual support for years, but officials finally felt the time was right to implement new programs, Frankhouser said. Growing Austin is an Austin American-Statesman and Austin Community Newspapers occasional series that examines the impact of Hispanic growth in the Austin area. In coming months, stories will explore changes ahead for politics, education, health, culture and other aspects of Central Texas life affected by this demographic shift. Read stories and watch videos from our series examining the impact of the area’s growth with a focus on the Hispanic population at statesman.com/growingaustin. Please click here to access a PDF version of this article. law. Montoya’s article is built, in part, on John Noonan’s insight, in Persons and Masks of the Law (1976), about the tendency of legal discourse to obscure or mask the humanity that underlies all case law. the basic premises of Critical Race Theory. powerful force of sharing Máscaras with students at the start of their legal career. sources being used to learn the “law” in their other first year classes. largely left to their own devices to navigate and understand. shaped, not something that is inexorably or neutrally developed. relied upon, and the nature of judicial persona and argumentation. pretend to offer an overview of English and American legal history. criminal law, torts, and contracts. implications for how law is taught. rejection of “Langdellism” in the critiques of the Legal Realists. among students a self-critical perspective of law and legal education. maintaining a self-critical perceptive about law and the legal system. class is part of the discussion) that Máscaras has enormous potential to contribute to legal education. discussion about how hard and difficult the questions raised by Máscaras were to discuss—particularly in a large classroom with students speaking in front of all their peers. declared himself to feel vulnerable during these kinds of discussions. relevance that goes far beyond the literature of Critical Race Theory. In the end, Máscaras has remarkable potential as a catalyst for discussing important questions about the nature of law in America. Cite as: Christian G. Fritz, The Perils and Promise of Teaching Margaret Montoya’sMáscaras Article in the First Year Law School Curriculum, Harv. J. L. & Gender (Feb. 2013) (reflection on Margaret Montoya, Máscaras, Trenzas, y Greñas: Un/Masking the Self While Un/Braiding Latina Stories and Legal Discourse, 17 Harv. Women’s L. J. 185 (1994), 15 Chicano-Latino L. Rev. 1 (1994)). * Henry Weihofen Chair in Law and Professor of Law, University of New Mexico. Margaret E. Montoya, Máscaras, Trenzas, y Greñas: Un/Masking the Self While Un/Braiding Latina Stories and Legal Discourse, 17 Harv. Women’s L. J. 185 (1994), 15 Chicano-Latino L. Rev 1 (1994). the manslaughter prosecution of Josephine Chavez. See Montoya, supra note 1, at 201–06, 18–23. suggestions on how to get more out of legal education). "[T]his is a big week in the fight for quality education for all children..."
Eleven civil rights groups including our Opportunity to Learn Campaign have just released recommendations to President Obama, Secretary of Education Arne Duncan, Congressional and State Educational Leaders urging increased educational opportunity and equity for students of color through improvements to local, state and federal accountability systems. Seventeen organizations including the Schott Foundation have launched A New Social Compact for American Education, a rethinking of accountability that replaces the current paradigm of “test and punish” with a focus on what is needed to support and improve teaching and learning. Their new website highlights the cities and states that are pioneering new, better accountability systems. The Schott Foundation and members of our Opportunity to Learn Campaign are proud to stand with our allies in both initiatives. Already we're seeing word spread across social media and in the news outlets like U.S. News & World Report, Education Week, and the Washington Post. In its current form, our federal accountability system unfairly penalizes schools without accounting for their student population, location or institutional resources. It places a tremendous burden on schools disproportionately serving low-income students and students of color, leaving them under-resourced and ill-prepared to provide a college and career ready education for those most in need. A successful accountability system must ensure that the tools and resources for educational success are distributed fairly and equitably. These two new plans point away from the old punitive approach and toward one that lifts and supports the students, educators and schools that most need assistance. Dr. John H. Jackson is President & CEO of the Schott Foundation for Public Education. Why is bilingual education ‘good’ for rich kids but ‘bad’ for poor, immigrant students? The answer to this question about bilingual education is inextricably about power, privilege, and ideology, the latter of which is clearly caught up in a particular set of interests that have do with power and privilege for the dominant group in society. Consider that bilingualism in the U.S. has always been the gem of the upper class. For language minorities, language—like ethnicity—is a human right to which they are customarily denied. In fact, it is so much of the fabric of so much of public education as part of a long history of colonization – otherwise called "assimilation." Even within this group, there is a large segment that buys the grand myth of English monolingualism as the route to socioeconomic mobility when the evidence actually points in the opposite direction ( see below). The historical and public policy record is abundantly clear that bilingualism is an issue of politics, power, and privilege and NOT evidence. To put it bluntly, bilingualism is often seen as “good” when it’s rich English speakers adding a language as a hobby or another international language, but “bad when it involves poor, minority, or indigenous groups adding English to their first language, even when the same two languages are involved. Here is a piece about the value of bilingualism for all students. Bowern is an associate professor of linguistics at Yale University and a fellow in The OpEd Project’s Public Voices project who has been researching topics s related to language and society, including bilingualism, for 15 years. She also works as an advisor to Native American and Australian indigenous groups on language reclamation, maintenance, and bilingual education issues. Two languages, two sets of opinion about bilingualism. On the one side is the research that consistently shows that bilingualism is good for you. It leads to an enriched set of experiences, a new way of seeing the world, and more prosaically but no less importantly, is associated with reduced rates of dementia. People who are multilingual are perceived as more intelligent and educated, and they have better international contacts and resources in their careers. On the other side, we also hear about the perniciousness of bilingualism among immigrants, the uselessness of supporting and preserving minority and indigenous languages, and the educational and economic harm that comes from ‘wasting’ valuable resources on bilingual education initiatives. Some even see maintaining another language as seditious, a compromise to national security, or at the very least, evidence of conflicted loyalties or identities, or that a person cannot be fully trusted. These opposing views tells us more about stereotypes and social pigeonholing than about language. To put it bluntly, bilingualism is often seen as “good” when it’s rich English speakers adding a language as a hobby or another international language, but “bad” when it involves poor, minority, or indigenous groups adding English to their first language, even when the same two languages are involved. You may have heard the joke: “What do you call someone who speaks two languages? (Bilingual) Someone who speaks three languages? (Trilingual) Someone who speaks one language? American.” But America is a multilingual national, with 55 million Americans speaking another language at home, and nearly 400 languages represented. And far from being unusual outside the United States, multilingualism is the norm with 163 of the world’s 195 countries officially bi- or multilingual. More than half the world’s population uses more than one language. Let’s look in more detail at the evidence that bilingualism is “good.” The evidence comes from several sources. One is Erika Hoff’s work on second language exposure. She compared Spanish-speaking immigrants to the USA who spoke Spanish to their children with those who spoken mostly English to them. The children who had mostly English at home did worse in standardized tests, while the children whose parents spoke to them mostly in Spanish benefited from a “bilingual boost” by being proficient in two languages. Research in Australia among Aboriginal groups shows that bilingual education programs have higher school attendance and better outcomes on standardized tests. The same is true for the elite bilingual schools at the other end of the socio-economic spectrum. Bilingual education benefits all, not just the rich. The “bilingual boost” extends beyond the classroom and into later life. Ellen Bialystok’s research, for example, shows that bilingual adults, as they get older, stay sharper for longer than monolingual adults do. The effect is about four years’ difference on average, which can make a considerable difference to quality of life in retirement. In research by the same team, bilingual adults also showed the delays in the onset of symptoms of Alzheimer’s Disease. They still got the disease, but they were able to maintain active lifestyles for longer – 5 to 6 years longer on average. Not everyone thinks that bilingualism is a good idea, however. A common argument confuses promoting bilingualism with promoting lack of fluency in English. Karin Davenport, of U.S. English, for example, calls bilingualism as “crutch” that allows people to remain “linguistically isolated.” But again, research is clear. All research on this topic, from multilingualism to the causes of language endangerment, has shown that immigrant kids will most likely pick up the major language within a generation, whatever the policies are. In the United States, second-generation fluency in English is around 80 percent, while third generation fluency is well over 90 percent. English-only won’t get more people speaking English; they’ll learn English no matter what. But will they have access to good literacy, education, and all the other prerequisites for success that go along with that? Only if they’re well supported in school. And research is again clear that the best way to do that is to teach students in their first languages, to maintain school attendance by making school relevant to their experience, and by employing teachers who are role models. The tide is slowly changing, at least at the legislative level. Legislators in California recently voted to allow consideration of overturning the 1998 English-only instruction laws in that state. And there is national legislation currently under consideration in congress, with bipartisan support (particularly HR.4214/S.1948). Both these bills recognize that beginning the “bilingual boost” needs to start early, and that government support through state education is critical. Theodore Roosevelt said, “We have room for but one language in this country, and that is the English language.” But Roosevelt himself was trilingual, and America has never been home to just a single language, from the several hundred indigenous languages that were here before European settlement to the early colonists from Britain, Germany, France and elsewhere in Europe, from the slaves brought here from the coasts of Africa, to more recent immigration from Central and South America, Oceania, Asia and the Middle East. It’s time to change the monolingual mindset and to recognize the benefits of bilingualism for all who want it. 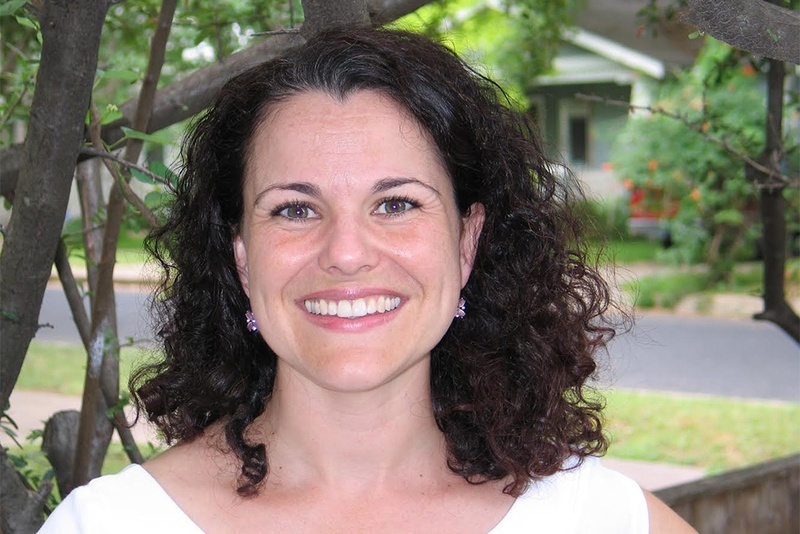 Valerie Strauss covers education and runs The Answer Sheet blog. This is the book we all have been waiting for. It does for bilingualism what Thomas Piketty has famously done for capitalism: it dismantles age-old myths and tired cliches with muscular data, conceptual clarity, and careful argumentation. In the Age of Globalization, we must undo the monolingual regime at the heart of the American experience and give children, youth, and indeed all citizens alike, the opportunity to fully partake of the 'bilingual advantage.' We will then be a richer, smarter, safer society. Rebecca Callahan is Assistant Professor at the Department of Curriculum & Instruction in the College of Education at the University of Texas at Austin. Rebecca Callahan is a researcher and associate professor of education at the University of Texas at Austin. Callahan is currently researching the effects of school context, social and academic processes, and teaching practices on the academic and civic development of language minority students, as well as students identified with learning disabilities. Her recently published work appears in American Educational Research Journal, Educational Policy, Social Science Quarterly, Theory and Research in Social Education, and the Bilingual Research Journal. She co-wrote the recently published book The Bilingual Advantage: Language, Literacy and the US Labor Market. Editor's note: This interview has been edited for length and clarity. Trib+Edu: What drew you to research bilingualism? Rebecca Callahan: My interest came from being a former bilingual K-2 teacher. For a long time, we have known the social and psychological, and the cognitive benefits of bilingualism. That research has been really clear and really solid. We know practicing proficient bilinguals are more likely to graduate, go to college. They have mental acuity and problem solving skills. They delay the onset of Alzheimer’s for five to seven years. There has been wonderful psychological and cognitive research in this area. Trib+Edu: How does this play out in schools? Callahan: What we see in school districts, there is a huge preponderance of bilingual education and dual language programs. In these classrooms, half of the students are native Spanish, Vietnamese or Mandarin and the other half are native English speakers, and the idea is to teach all the children in both languages. That way, all the children come out with well developed bilingual, biliteracy skills in both languages. White middle-class parents tend to seek out these programs, and they are very popular because you are essentially giving your kid two languages. We see the benefits that come from this, and as a nation, we seem to value this for some kids but not for others. School districts are constantly cutting bilingual and first language services for kids that already speak another language. There is this idea that those kids need English. The outside world is all in English. The testing system is English. Music, art and P.E. are in English. The cafeteria is in English. They will learn English. We have the opportunity to develop their home language as well but we don’t do a very good job of that. As an education system, we are in such a rush to make sure they learn English, we forget they come in with this resource. It just seems like there is a disconnect between what we know research-wise and what schools do. We have really seen a decrease in services for these kids and they are spoken about in a deficit oriented way. Really, we should be looking at these kids as potential bilinguals. If we do it right, they will learn to read and write in both languages when they graduate from high school. Trib+Edu: What prompted the book? Callahan: There is this mismatch. We know all this research in one area but at the same time, schools are cutting programs left and right. We thought maybe if the research isn’t convincing, maybe we should look at it from an economic standpoint. We are in the information age, in the era of the Internet. For any local business, their clientele no longer is within a 10- to 15-mile radius. Their clientele is potentially global. Having employees that are bilingual would seem that much more important. We went into this project trying to figure out if things have changed. What we really found was that studies using U.S. census data have a very blunt definition of bilingualism, say, if you speak any other language to any degree, you are bilingual. You are lumping into the same category bilingual, biliterate college graduates and manual laborers who came to this country six months ago. There was no measure of literacy skills. The studies in this book really try to discern who has a level of balanced bilingualism, with literacy in the first and second languages. That is where we saw the huge difference. Once you can measure, you get at what is an advantage really. One of the chapters interviews employers, who showed a clear preference for bilinguals. We are just going to see this preference in the labor market because the client bases have just changed so drastically over the last 10 years. Google has changed how we approach learning entirely. The access to information we now have, and the ability to develop and maintain languages online is so different now. We’ve got this incredible natural resource here. They are more likely to be hired and in the era of layoffs, are less likely to be laid off. Trib+Edu: You shared your research at the Capitol last month, in an open presentation. What did you focus on conveying to legislators and education leaders? Callahan: As academics, we tend to speak to other academics, so we wanted to broaden the base. We feel like the audience for this book really needs to be educators and policymakers. The reason the policymakers have not been swayed in the past is because we have not necessarily seen the difference in the bottom line. We think what we are doing K-2 is so separate from what happens when the kids go into the labor market 15 to 20 years later, but it really isn’t. Important, troubling read. The following quotes should make us all question this move toward centralization of services that is currently taking place in higher education—and much to the despair of parents that have to account for this through ever higher tuition costs, as well as to the despair of part-time faculty and teaching assistants who "now account for half of instructional staffs at colleges and universities, up from one-third in 1987, the figures show." During the same period, the number of administrators and professional staff has more than doubled. That’s a rate of increase more than twice as fast as the growth in the number of students. The ratio of nonacademic employees to faculty has also doubled. There are now two nonacademic employees at public and two and a half at private universities and colleges for every one full-time, tenure-track member of the faculty. Centralization has been promoted as a way to reduce costs, but Vedder points out that it has not appeared to reduce the rate of hiring of administrators and professional staffs on campus—or of incessant spikes in tuition. New administrative requirements —and the "thousands" of regulations they must follow—related to services that higher education needs to provide are getting blamed for this. But critics aren't buying it. Universities will draw from their state operating budgets to pay for the many staff that help them raise dollars for their capital fundraising campaigns only to turn around and never actually intend for any of money to at least in part go back to staff for pay raises, job upgrading opportunities, improved working conditions and the like. In short, this is tantamount to an attack on workers. We read all the time of the economic polarization that exists and is increasing in our country. Universities are crucibles for this pernicious reinscribing of power relations that exist in our society. The number of non-academic administrative and professional employees at U.S. colleges and universities has more than doubled in the last 25 years, vastly outpacing the growth in the number of students or faculty, according to an analysis of federal figures. The disproportionate increase in the number of university staffers who neither teach nor conduct research has continued unabated in more recent years, and slowed only slightly since the start of the economic downturn, during which time colleges and universities have contended that a dearth of resources forced them to sharply raise tuition. In all, from 1987 until 2011-12—the most recent academic year for which comparable figures are available—universities and colleges collectively added 517,636 administrators and professional employees, or an average of 87 every working day, according to the analysis of federal figures, by the New England Center for Investigative Reporting in collaboration with the nonprofit, nonpartisan social-science research group the American Institutes for Research. Universities have added these administrators and professional employees even as they’ve substantially shifted classroom teaching duties from full-time faculty to less-expensive part-time adjunct faculty and teaching assistants, the figures show. Part-time faculty and teaching assistants now account for half of instructional staffs at colleges and universities, up from one-third in 1987, the figures show. It’s not possible to tell exactly how much the rise in administrators and professional employees has contributed to the increase in the cost of tuition and fees, which has also almost doubled in inflation-adjusted dollars since 1987 at four-year private, nonprofit universities and colleges, according to the College Board. Those costs have also nearly tripled at public four-year universities—a higher price rise than for any other sector of the economy in that period, including healthcare. But critics say the unrelenting addition of administrators and professional staffs can’t help but to have driven this steep increase. At the very least, they say, the continued hiring of nonacademic employees belies university presidents’ insistence that they are doing everything they can to improve efficiency and hold down costs. “It’s a lie. It’s a lie. It’s a lie,” said Richard Vedder, an economist and director of the Center for College Affordability and Productivity. The figures are particularly dramatic at private, nonprofit universities, whose numbers of administrators alone have doubled, while their numbers of professional employees have more than doubled. Rather than improving productivity as measured by the ratio of employees to students, private universities have seen their productivity decline, adding 12 employees per 1,000 full-time students since 1987, the federal figures show. “While the rest of the economy was shrinking overhead, higher education was investing heavily in more overhead,” said Robert Martin, an economist at Centre College in Kentucky who studies university finance who said staffing per students is a valid way to judge efficiency improvements or declines. “In no other industry would overhead costs be allowed to grow at this rate—executives would lose their jobs,” analysts at the financial management firm Bain & Company wrote in a 2012 white paper for its clients and others about administrative spending in higher education. Universities and university associations blame the increased hiring on such things as government regulations and demands from students and their families—including students who arrive unprepared for college-level work—for such services as remedial education, advising, and mental-health counseling. “All of those things pile up, and contribute to this increase,” said Dan King, president of the American Association of University Administrators. Since 1987, universities have also started or expanded departments devoted to marketing, diversity, disability, sustainability, security, environmental health, recruiting, technology, and fundraising, and added new majors and graduate and athletics programs, satellite campuses, and conference centers. Some of these, they say—such as beefed-up fundraising and marketing offices—pay for themselves, and sustainability efforts save money through energy efficiency. Pressure to help students graduate more quickly—or at all—has also driven the increase in professional employees “to try to more effectively serve the students who are coming in today,” Pernsteiner said. But naysayers point out that the doubling of administrative and professional staffs doesn’t seem to have improved universities’ performance. Since 2002, the proportion of four-year bachelor’s degree-seeking students who graduate within even six years, for instance, has barely inched up, from 55 percent to 58 percent, U.S. Department of Education figures show. “If we have these huge spikes in student services spending or in other professional categories, we should see improvements in what they do, and I personally haven’t seen that,” Gillen said. Universities and colleges continued adding employees even after the beginning of the economic downturn, though at a slightly slower rate, the federal figures show. There’s also been a massive hiring boom in central offices of public university systems and universities with more than one campus, according to the figures. The number of employees in central system offices has increased six-fold since 1987, and the number of administrators in them by a factor of more than 34. One example, the central office of the California State University System, now has a budget bigger than those of three of the system’s 23 campuses. This story was prepared by the New England Center for Investigative Reporting, a nonprofit news center based at Boston University and WGBH Radio/TV. BOULDER, CO (Oct. 28, 2014) – A recent report incorrectly claims to be the first empirical study of K-12 student achievement in virtual schools, and its flaws and limitations repeat those of earlier studies, according to a new review. Michael K. Barbour of Sacred Heart University – who has been involved in K-12 online learning in several countries as a researcher, teacher, course designer and administrator – reviewed the report Virtual Schooling and Student Learning: Evidence from the Florida Virtual School. His research focuses on the effective design, delivery and support of K-12 online learning, particularly for students in rural areas. The review was conducted for the Think Twice think tank review project and is published by the National Education Policy Center, housed at the University of Colorado Boulder School of Education. The report Barbour reviewed, Virtual Schooling and Student Learning, was written by Matthew M. Chingos and Guido Schwerdt and published by the Program on Education Policy and Governance, an organization at the Harvard Kennedy School of Government that promotes school choice. Virtual Schooling and Student Learning compares the performance of Florida Virtual School (FLVS) students with that of students in traditional brick-and-mortar schools. The authors conclude that FLVS students perform at least as well as the comparison students on state tests, while costing less to educate. The Florida report largely ignores a key question influencing whether the two compared groups are in fact comparable: Are the reasons why students enrolled in the virtual school rooted in differences that would create bias in the findings? If so, there could be systemic bias reflecting, e.g., the extent to which parents are engaged with their children. Any improved outcomes for the virtual students may also be due to “a lessening of the circumstances that caused the student to leave the traditional setting in the first place,” Barbour says. For example, if a student being bullied in a brick-and-mortar school and transferred to a cyber school, any improved performance may be completely divorced from the technology or delivery method -- but simply because the student is no longer being bullied. While that is a benefit of virtual education, it wasn’t what the authors argued or were even researching. The Think Twice think tank review project (http://thinktankreview.org) of the National Education Policy Center (NEPC) provides the public, policymakers, and the press with timely, academically sound reviews of selected publications. NEPC is housed at the University of Colorado Boulder School of Education. The Think Twice think tank review project is made possible in part by support provided by the Great Lakes Center for Education Research and Practice. The mission of the National Education Policy Center is to produce and disseminate high-quality, peer-reviewed research to inform education policy discussions. We are guided by the belief that the democratic governance of public education is strengthened when policies are based on sound evidence. For more information on the NEPC, please visit http://nepc.colorado.edu/. This review is also found on the GLC website at http://www.greatlakescenter.org/. Think of it this way: Every 30 seconds, two non-Hispanics reach retirement age and one Latino turns 18. Like the baby boomers before us, the Latino baby boom will affect every aspect of American life over the next 50 years. Do you want to be the one missing out on this opportunity? I think not. I agree that our country cannot afford to keep this population on the margins. I feel like we know that but the political commitments aren't there to fully and equitably fund public education, to teach bilingual education, and to promote culturally relevant, social justice education to our youth who frankly get beaten down by the system because so much of who they are is so much of what it's not. And on top of this, there's denial in large segments of the larger population that either doesn't get it or doesn't want to get it that ours is a very long history of exclusion, discrimination, and neglect, beginning with our lack of representation in the curriculum. Mitt Romney said he didn't reach out enough to Hispanics in 2012. Chiqui Cartagena says businesses make the same mistake. Editor's note: Chiqui Cartagena is the vice president of corporate marketing for Univision Communications. She is a Hispanic media and marketing pioneer with 25 years of experience and the author of "Latino Boom II: Catch the Biggest Wave Since the Baby Boom," her second book on the Hispanic market. (CNN) -- With a name like Chiqui Cartagena, you can't escape the fact that you're different from your classmates in school. From the first grade on, I was constantly looked down upon and treated differently -- and sometimes not so nicely. I'm an Army brat. My father was a decorated veteran of the Puerto Rican 65th Infantry Regiment that bravely fought in the Korean War. When he left the armed forces, he became a corporate executive for General Electric in Spain, which is where I grew up from the age of 6 until I was 21 years old. When I came to the U.S. to finish my education and became a journalist, I was fascinated by how little people really understood Latinos. So I have spent my whole professional life helping my fellow Americans understand who we are. The last two Census reports and presidential elections have certainly elevated the awareness of the power and growth of the U.S. Latino community, especially in certain sectors, politics being one of them. But there is still a lot of ignorance about the important impact Hispanics are having on every sector of the U.S. economy. There are seven sectors of business -- retail, food, entertainment, financial services, etc. -- that offer companies unprecedented domestic growth opportunities, if only they will focus their efforts on marketing to Hispanics. But business leaders don't feel like they know how to take the proper steps to capitalize on their Hispanic opportunity, so they don't do anything at all. On average, only 5% to 6% of all advertising budgets is allocated to marketing to Latinos, who already represent 17% of the total population and 20% or more of key demographic groups -- children, teens, and millennials. Clearly, there is a fundamental gap between awareness of the need to start marketing to Latinos and the ability to do so. Business leaders often don't know where to begin. It all feels very scary to them -- partly because for so long, language has been the main way people think about Hispanic marketing, when in fact, it's all about culture and creating marketing campaigns that are culturally relevant. When minorities in general make up almost half of all millennials -- with Hispanics accounting for nearly 25% of them and growing at the fastest pace -- this is an opportunity you can no longer ignore. How can you have a millennial strategy without asking yourself "What about Hispanics?" You simply can't afford to leave out one quarter of your target simply because you don't know how to talk to them. If you do, chances are your competition will figure it out and you will lose in the long term. Hispanics are creating a new baby boom in the United States. Although I have spent the last month giving speeches about the importance of the Latino community as part of various events celebrating Hispanic Heritage Month, I feel like the designation of Hispanic Heritage Month is becoming an anachronism. In many ways the influence of Hispanics on America can be felt every day. Does Hispanic Heritage Month matter? From the grocery aisle where you pick up your Corona beer and your dulce de leche ice cream, to the Billboard charts where Pitbull, Marc Anthony and Jennifer Lopez routinely dominate, to the lunch you order at Chipotle or Panera or, in fact, at the great American fast feeder, McDonald's -- the Latino effect is everywhere. 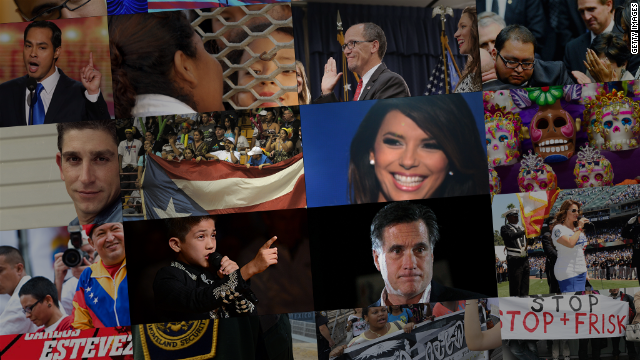 The media and both political parties now readily acknowledge that it was the influence of the Latino vote in the key swing states that got President Barack Obama re-elected last year. In fact, just two weeks ago, Mitt Romney said that insufficient Hispanic outreach was his largest error in 2012. 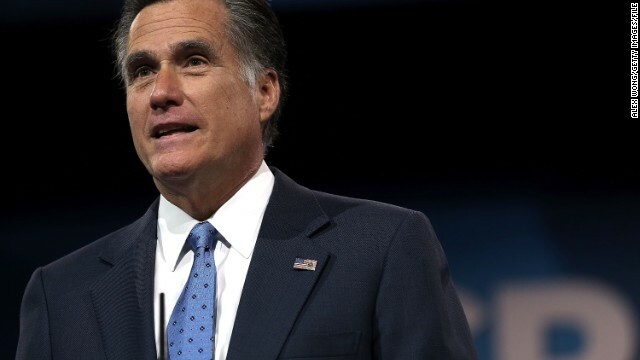 "The largest strategic error was not investing sufficiently, particularly in Hispanic TV and Hispanic outreach to help Hispanic voters understand that ours is the party of opportunity," Romney told CNN's Jake Tapper of the lesson to be learned for GOP presidential campaigns of the future. Funny, because just this past summer, Univision Network made history when it came in first place during the July sweeps, beating ABC, NBC, CBS and Fox in the much coveted demographic of adults 18-34. I can't think of a more appropriate way to recognize the influence Hispanics are having on America. The opinions expressed in this commentary are solely those of Chiqui Cartagena. We have a long history in Texas of movements on the right working to disenfranchise poor, communities of color and that's what this piece is about. 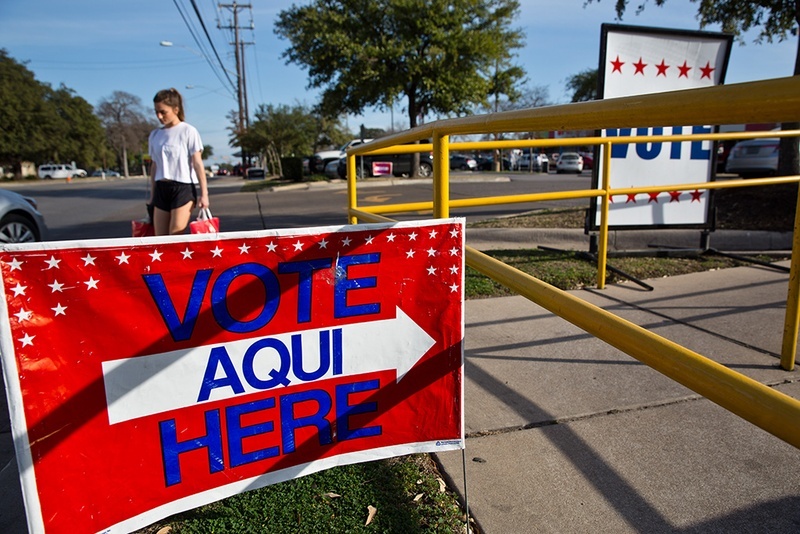 But do also consider that this is happening, simultaneously, too: Record 14M Texans register to vote. Folks know quite well that Texas is changing and so racialized politics are part of our landscape. It's encouraging to see these record numbers of folks registered to vote. Now, they just have to get out and vote. Republican state officials working to pass a voter photo ID law in 2011 knew that more than 500,000 of the state’s registered voters did not have the credentials needed to cast ballots under the new requirement. But they did not share that information with lawmakers rushing to pass the legislation. Now that the bill is law, in-person voters must present one of seven specified forms of photo identification in order to have their votes counted. 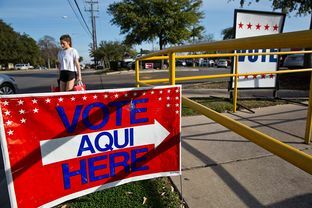 A federal judge in Corpus Christi has found the law unconstitutional, but the U.S. Supreme Court has ruled that the state can leave it in place for the November election while appeals proceed. The details about the number of voters affected emerged during the challenge to the law, and were included in the findings of U.S. District Judge Nelva Gonzales Ramos. During the 2011 legislative struggle to pass the voter ID law, she wrote, Republican lawmakers asked the Texas secretary of state, who runs elections, and the Texas Department of Public Safety, which maintains driver’s license information, for the number of registered voters who did not have state-issued photo identification. The answer: at least a half-million. Smaller high schools are better than larger ones. "In particular, the researchers found that the schools boosted college enrollment for black males by 11.3 percentage points, a 36 percent increase relative to their control group counterparts." "What is truly remarkable about these results is that a high school reform has had a measurable effect on college-going and it has done so at scale — across scores of public high schools," said Gordon Berlin, the president of MDRC. The actual study is the one that follows. This review examined 57 post-1990 empirical studies of school size effects on a variety of student and organizational outcomes. 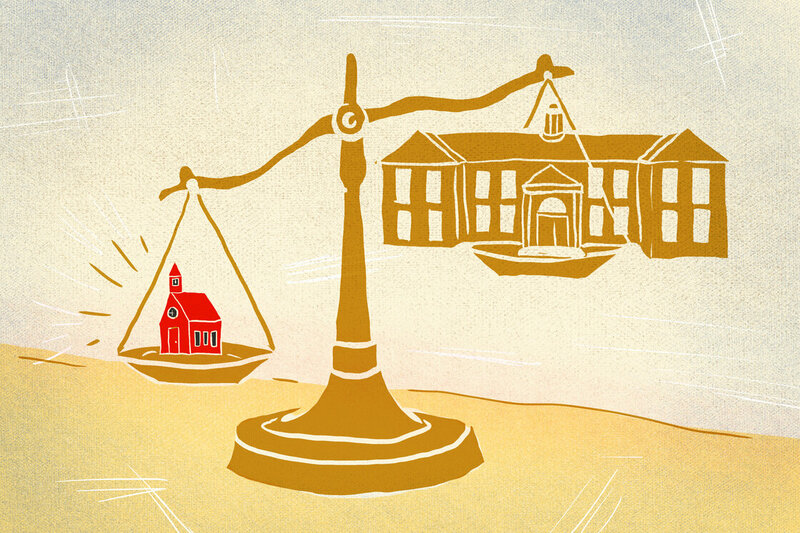 The weight of evidence provided by this research clearly favors smaller schools. Students who traditionally struggle at school and students from disadvantaged social and economic backgrounds are the major benefactors of smaller schools. Elementary schools with large proportions of such students should be limited in size to not more than about 300 students; those serving economically and socially heterogeneous or relatively advantaged students should be limited in size to about 500 students. Secondary schools serving exclusively or largely diverse and/or disadvantaged students should be limited in size to about 600 students or fewer, while those secondary schools serving economically and socially heterogeneous or relatively advantaged students should be limited in size to about 1,000 students. This kind of reform is long overdue. Evidence here in Texas that we're ready for a shift ourselves. This piece provides some direction. With a nod to California, a new report suggests overhauling how school and student success is measured in the United States. 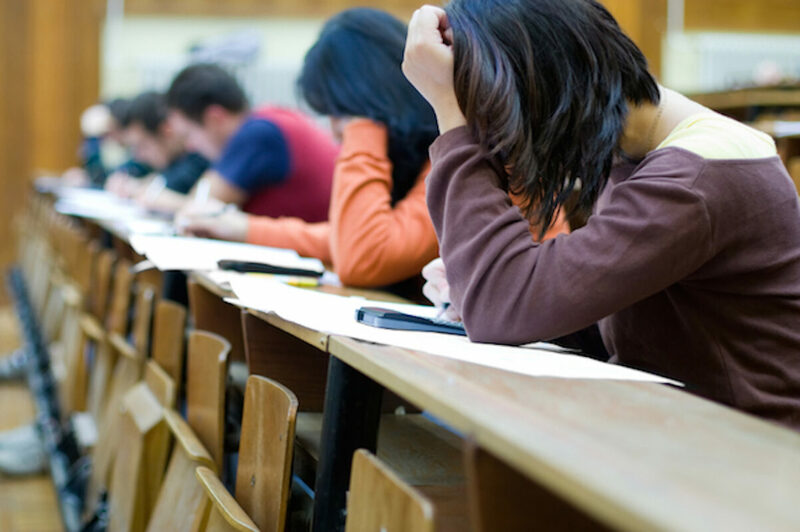 The report, by the Stanford Center for Opportunity Policy in Education and the National Center for Innovation in Education at the University of Kentucky, recommends alternatives to annual standardized tests. It says there should be far more emphasis on ongoing assessments of students as part of regular classroom instruction. Schools should focus more on “formative assessments,” the curriculum-based problems and quizzes that teachers give to students throughout the school year for feedback on how students are doing, in addition to locally developed alternatives to assessments, the report argues. The latter could include science experiments, literary essays, classroom projects and, by the senior year of high school, internship experiences and portfolios that students can present to employers and colleges. Written by Linda Darling-Hammond, director of the Stanford program, and Gene Wilhoit and Linda Pittenger from the Kentucky center, the report also calls for the replication of elements of California’s new funding and accountability system, the Local Control Funding Formula, which it praises for directing more money toward low-income students, English learners and foster children. Student achievement will falter in an era of higher learning standards without equitable funding and dramatic improvement in the preparation of teachers, the report says. Wilhoit is the former executive director of the Council of Chief State School Officers, the nonpartisan organization of elected and appointed state superintendents that co-produced the Common Core State Standards. Darling-Hammond is a senior research adviser for the Smarter Balanced Assessment Consortium, the developer of the Common Core tests that California students will take next spring. She also chairs the California Commission on Teacher Credentialing, which oversees the state’s teacher preparation programs. Wilhoit and Darling-Hammond say the adoption of Common Core, with its goal of preparing students for college and 21st-century careers, marks a monumental shift in expectations of students. Wilhoit said the new standards “require students to do things they had not been asked to do before,” and to develop “habits of the mind” and abilities to solve problems, apply knowledge and think critically. Multiple-choice, end-of-year tests, including higher quality and more complex versions such as the pending Smarter Balanced assessments, alone won’t lead students to reach those goals or adequately measure all that will be demanded of them, Wilhoit said. The report says it is critical to stop using annual tests as the chief gauge of school success and student achievement. The report comes as Congress is deadlocked over whether to end or amend the 12-year-old No Child Left Behind law, which demanded that all students be proficient in math and reading by 2014, and partisan disagreements over the role of the federal government in education. There also is a growing backlash against standardized tests – in states opposed to sanctions under the federal law and by teachers across the nation who resent putting in weeks of preparation for annual student tests and who oppose being evaluated based primarily on student performance on tests. Wilhoit said the new standards “require students to do things they had not been asked to do before,” and to develop “habits of the mind” and abilities to solve problems, apply knowledge and think critically. Stanford Professor Linda Darling-Hammond, co-author of the report. Last week, the Council of Chief State School Officers and the Council of Great City Schools, which represents most of the nation’s largest urban districts, issued a set of principles on testing that called for fewer, higher quality and “meaningful” assessments. Earlier this year, Reps. Chris Gibson, R-N.Y, and Kyrsten Sinema, D-Ariz., introduced a bill, supported by the National Education Association, that would require testing math and reading only once in elementary, middle and high school. The Stanford/University of Kentucky report backs this approach, proposing that students take only parts of the math or reading exam. The advantage is that students can be given more complex, multi-step problems without lengthening the time of the test. The disadvantage is that such “matrix scoring” produces school- or district-wide results, rather than individual scores. Duncan has granted 42 states waivers from the sanctions and some of the requirements of No Child Left Behind. Some states, such as New Hampshire and Kentucky, are experimenting with alternative forms of assessments and measurements of performance. The report highlighted the seven California districts that, in obtaining an NCLB waiver, have created an accountability index with multiple measures. They will include social and emotional learning, and difficult-to-quantify qualities, like perseverance, that affect the ability to learn. The report doesn’t directly address the federal government’s role under the new accountability system but suggests that Congress would give states more flexibility to create strategies addressing student achievement, an equitable distribution of resources and teacher preparation. It recommends that states establish a “School Quality Review process” in which schools will be evaluated at least every five years by teachers, administrators and outside experts who will look at the full breadth of a school’s life. California’s Local Control Funding Formula established the Collaborative for Educational Excellence, which will oversee the school improvement process, but it it has yet to meet. Kentucky, Ohio and New York have adopted elements of the inspection process. There are multiple ways to achieve the new, high standards, Wilhoit said in a webinar last week. But for that to happen, the federal government, which “ created the mess we’re in,” must step aside to allow states to innovate. John Fensterwald covers education policy. Email him or Follow him on Twitter. Sign up here for a no-cost online subscription to EdSource Today for reports from the largest education reporting team in California.